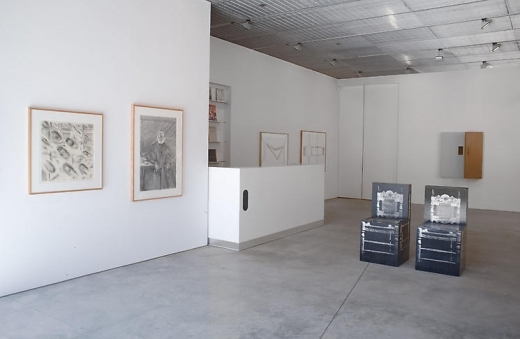 New York, NY, September 10, 2008 –David Nolan Gallery is pleased to announce Richard Artschwager's Objects as Images of Objects, the inaugural exhibition at the new Chelsea location at 527 West 29th Street. 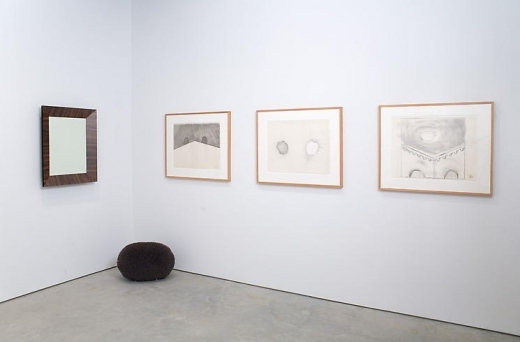 The retrospective of drawings and sculpture will span 40 years of work by Richard Artschwager. 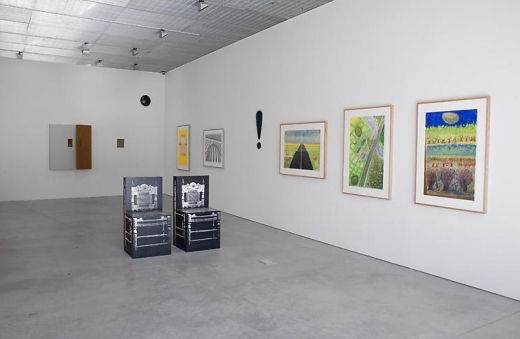 At 85, Artschwager continues to exceed expectations in his sixth solo show with the gallery, using color and texture to stimulate the eye, making art a mental exercise. His latest work is the remarkable façade of the new 527 West 29th Street building, created in collaboration with Markus Dochantschi of studioMDA. This design actualizes Artschwager's desire to engage his work in a larger arena, physically and philosophically. 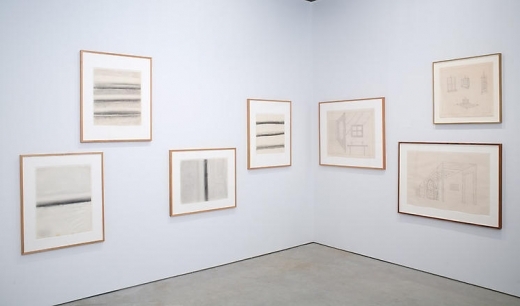 Since the 1960s, Artschwager has made art based on a three-part relationship between the thing, its maker or viewer, and the space it occupies. 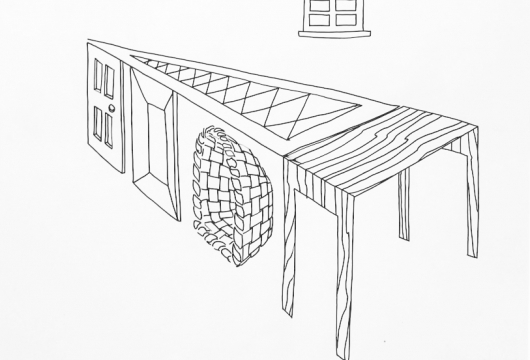 His work explores the illusion of space by challenging preconceived notions of perspective and authenticity. His subjects are ordinary people, places and things: a chair, a mirror, a road, an exclamation mark— their renderings cleverly subverted, to alleviate the anxiety of artistic contemplation. His preferred materials, Celotex (ceiling insulation) and Formica (an inexpensive veneer for cabinets), are pedestrian to the point of becoming classic Americana. So comfortable is the viewer that he/she continues to draw closer until the ordinariness deflates, wherein each object and image unravels and layer upon layer of contradiction and ambiguity is gradually exposed. For Artschwager, making art is taking "art" outside of its boundaries, and his work straddles and defies art historical tradition and narrative. His influences, like his materials and temperament, engender a multifaceted approach. He is a Minimalist, interested in form, hard-edged geometry and the passing of American simulacra; a Pop artist, incorporating utilitarian objects and industrial materials to mock pictorial illusion; a Photo Realist, neutrally depicting found photographs; and a Conceptualist, concerned with philosophical space, its arrangements and the way it functions in our memories. 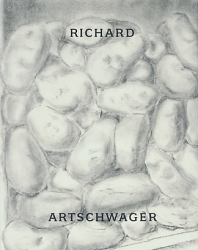 Richard Artschwager first exhibited in New York in 1959. The Whitney Museum of American Art organized his first major New York retrospective in 1988. He has exhibited in galleries, museums and art fairs around the world; most recently, the Museum of Contemporary Art, North Miami (2003), and the Winterthur Museum, Switzerland (2003), MAK Vienna (2002), Serpentine Gallery, London (2001), and Fondation Cartier, Paris (1994).